Coconut water is a thing. It’s natural, fat free and it hydrates you quicker than water. It’ll come as no surprise then that you see many a celeb sipping the stuff when you’re rifling through Heat magazine. I jumped on the bandwagon a while ago, purchasing it with an air of smugness; my body is a temple, and I’ve just come from a yoga class don’t you know?.. Reality is, I’ve discovered it to be an amazing hangover remedy; I glug it in an attempt to restore normality and banish the regret of having one too many the previous night. It kind of works, though there’s definitely no chance of me resembling Rihanna whilst I do this. Last week a little package arrived in my post box. I opened it up and out popped two cartons of CHI; one, pure coconut water, and the other, natural espresso coconut milk. Instantly I notice the packaging, it’s bold and not cluttered with information; it just has an identifiable logo with bright colours. The ‘island’ illustration of a waterfall, complete with birds, palm trees and flowers, implies a Thai theme, and upon investigating, this is exactly where the idea of CHI came from. CHI was dreamt up by Jonathan Newman (who’s actually a filmmaker) whilst holidaying in Phi Phi Island, Thailand. Having drunk coconut water every day – plucked fresh from the trees – he noticed a big improvement in health and hydration. A few years later, a number of packaged coconut drinks came onto the market, none of which quite matched the natural, clean taste of the real thing. This sparked a light bulb moment and Jonathan believed that he could do better. Sourcing some of the sweetest coconuts from a plantation in Thailand, CHI – meaning life force – was born; it’s 100% pure, with no added sugar, no added preservatives and no chemicals. I’m no connoisseur, but this coconut water does indeed taste much nicer than the others I’ve had. They’ve nailed it on the sweetness front; a lot of them smell so luxuriously coconut like but, disappointingly, the taste never quite matches. I know it will never be rich and creamy – as much as it smells like it should be – but CHI comes close on the balanced front. At Vinspire, we're not adverse to non-alcoholic drinks (you can take a peek at our other soft drink posts here), yet if the opportunity arises, booze is most definitely welcome. So, accompanying the CHI cartons were a few cocktail recipes; using smaller measures than most cocktails, they’re less alcoholic – better for your liver – but they essentially undo all the health benefits you get from drinking coconut water. Does that bother me? Nope. I’m willing to give anything a go. 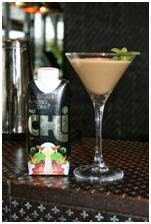 The first one I tried was with the natural espresso coconut milk, transformed into a 'Chilli-Choc Espresso Mintini'. Simply shake all the ingredients in a cocktail shaker and strain into a Martini Glass (a sieve works just as well as a strainer. Add mint sprigs to garnish. Unfortunately, my attempt at this did not work. and I’m too embarrassed to unveil my own photo of the finished product. I didn’t have any Funkin Liquid Chocolate, so went for the melted chocolate option instead. The combination of cold liquid and melted chocolate did not meet eye to eye, and I ended up with an espresso coconut vodka drink with a hint of chilli, alongside a mound of chocolate granules left in the strainer– doh! It tasted alright – if you’re into that chocolate cocktail thing – and I imagine Baileys might work better as an alternative to the liquid chocolate; it’d make a thicker, more attractive drink, that’s for sure. After that mega fail I went down the simple route; a 'Chi-jito'. Add all ingredients to a glass of ice, stir well, and finish with a wedge of lime. The first taste was a little bitter, so I added a teaspoon of sugar syrup, which made it much more pleasant. I did find myself missing the mint and the fizz of a traditional Mojito, however, I quite enjoyed having a coconut twist to the drink, so there’s definitely room to play with this kind of thing. As intriguing as they are, I think coconut water works best on its own. 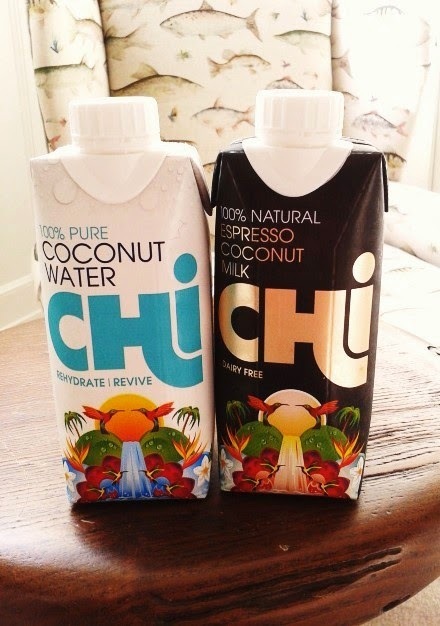 CHI promotes being healthy, hydrating and pure, and when it tastes this good, there’s no need to mess with it... I’ll forego all high hopes for celebrity sparkle, and shall stick to having it the morning after the night before. Simple. 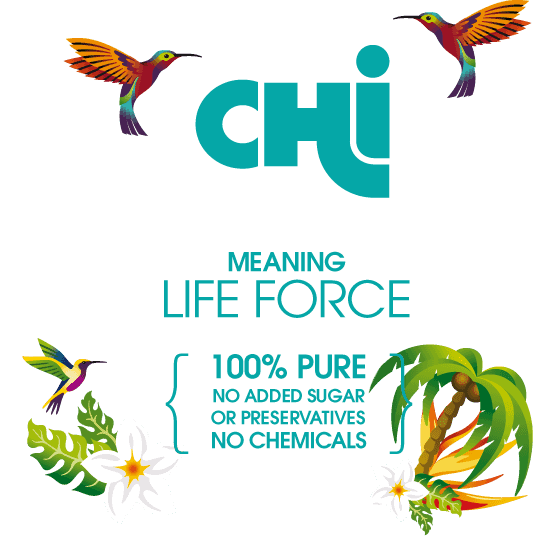 You can buy the full range of CHI products from the website. 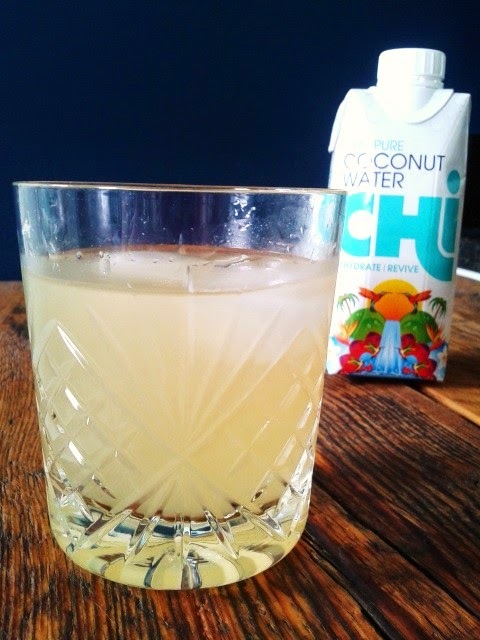 1 litre bottles of CHI 100% Pure Coconut Water are available from Tesco or Waitrose, priced at £3.49, and Ocado currently have the 330ml cartons on offer for £1. Best natural hangover remedy is the Detoxicated. It really does work. I am not going to give up drinking since it helps to get over the hangover and removes the headache and other hangover symptoms.